Hot Toys has debuted their latest entry for their extensive line of figures from the Marvel Cinematic Universe with the Black Panther 1/6th scale collectible figure based on his appearance in the upcoming film. 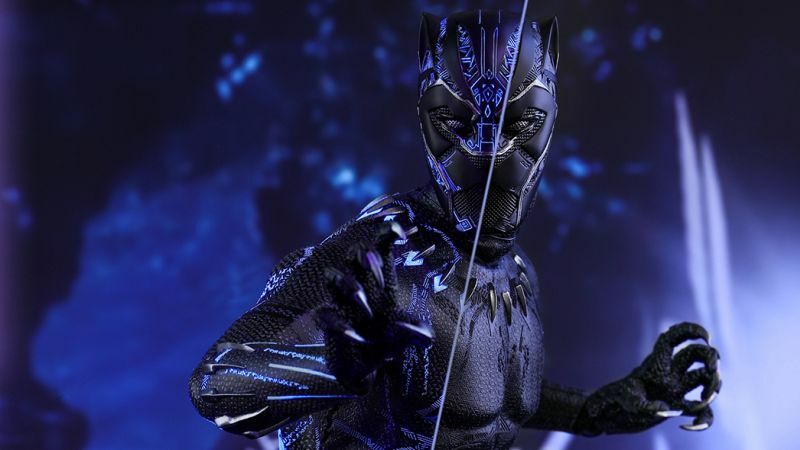 For the first time ever, Hot Toys has incorporated insanely-detailed luminous reflective patterns into the costume to re-create this extraordinary new Panther Habit suit with mystical elements under specialized LED lighting exposures. 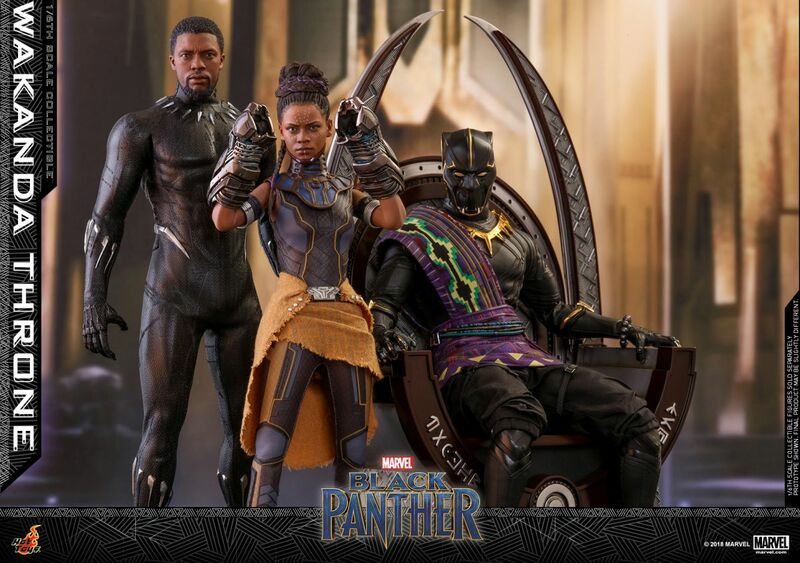 Finely-crafted based on the appearance of Chadwick Boseman as Black Panther in the movie of the same title, the movie-accurate collectible figure features two interchangeable heads which include a newly-developed head sculpt with stunning likeness and an all-new masked head with two interchangeable eye pieces, newly-developed body which can naturally portray Black Panther’s muscular body, a meticulously-tailored new Black Panther suit with fine details and the spectacular feature of purple patterns appearing under specialized LED light, a character backdrop and a movie-themed hexagonal figure stand with two specialized LED light units. Black Panther debuts in theaters on February 16.